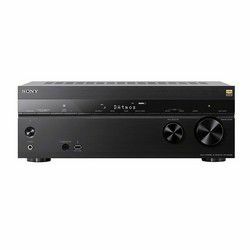 This device supports DTS Neo:X codec (with 9.1 channel support) and it features the Audyssey sound enhancement technology that generates crystal-clear sound without noises and deep bass. This model has 3 HDMI output ports with multi-zone support. You can tweak different parameters manually to get the desired audio quality. This model works with different network services, like Pandora, Spotify, etc. Also, it can be controlled remotely via a special application on your smartphone or a tablet. 7 in and 3 output channel with the 235 W of the maximum power per channel. The operating temperature is not high. The device can set up presets for your favorite internet radio sites. A great remote controller with the text that can be read by seniors. Menus and the manual provided can be quite confusing. It has some issues with ARC cables (usually, no sound output). An iOS application lacks some important functions. Spotify works for premium members only. Good ventilation is necessary despite the fact the operating temperature is low. The device has 8 in and 3 out HDMI ports which means is supported by several zones where you can play different content. The number of HDMI outputs lets you use 3 zones where you can play different content. This zones can be controlled easily via a special application. This model can be controlled via voice using the Alexa device (sold separately). But some important functions can be executed via a remote controller only, so if it breaks, you will not be able to use some of them. 9.2 surround sound setup with 125 W of power per channel. The device can process 11.2 setup. An application for iOS and Android devices or Amazon Kindle. Streaming of content via the HEOS application. The menus are easy to understand and use. The Audyssey technology generates great sound output. Easy to set up and calibrate everything. This model may have some troubles recognizing Apple TV. ARC cables may work improperly (no sound). The audio input may fail. Switching the input sources may take some time. Two separate applications are used for controlling the receiver and accessing network functions. Both receivers do what they are meant to do. 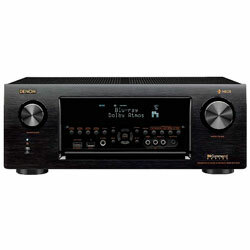 However, deciding what is better Denon AVRX4400H vs Denon AVR-X4000, you need to pay attention to the certain factor. The first thing is that models are quite different in terms of performance – a quite old Denon AVR-X4000 vs AVRX4400H that has some great features. 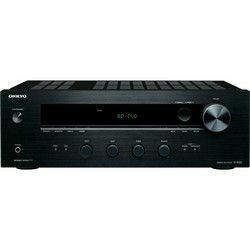 The main advantage of Denon AVR-X4000 is its high power output per channel. Plus it has the Audyssey technology. The disadvantage, it is a 7.2 receiver (versus 9.2 Denon AVRX4400H). moreover, it does not have Bluetooth or Wi-Fi interfaces. 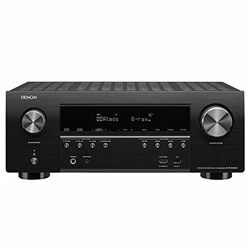 The main advantage of Denon AVRX4400H is that it supports the 9.2 surround sound setup. The disadvantage is that it may have some troubles with compatibility (sometimes there is no sound, or the device does not work with popular manufacturers of TVs). 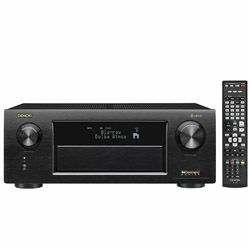 Therefore, when it comes to choosing Denon AVRX4400H vs AVR-X4000 – pay attention to what surround sound setup you are going to build and compare their additional features, like wireless connection interfaces. If you need 9.2, then Denon AVRX4400H is for you. If you want something simpler, then AVR-X4000 is for you.